The job search today is more complicated than it’s ever been before, with lots of information and tasks to manage. You may think that your job search will be a piece of cake, but the truth is, finding the right job may be harder than you think. 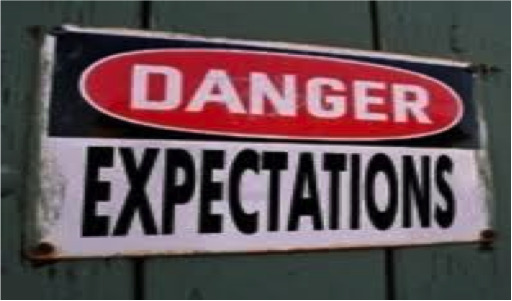 The best advice I can give job seekers is to set realistic job expectations. Too many times I see individuals cause themselves a lot of frustration because they have unrealistic expectations when applying for jobs. Expectation: My job search will take no time at all. Fact: There is no guarantee how long it will take to find a job. Quite often I see this with individuals receiving Employment Insurance (EI). They have been collecting EI for months and it is coming to the end in a month or so. They now feel it is time to start looking for a job. NOT smart! The vacant positions you come across may not seem challenging enough, require skills you do not have, require a commute or most commonly, do not pay what you want. Finding the right opportunity is not always easy and could take months. Take note that the higher the skill level of the job, the longer it will take to find a new one! Don’t put off your job search, start now!! Expectation: I only need to send out a few resumes. Fact: Finding a job is a numbers game. Employers will receive hundreds of resumes and yours needs to stand out. You never know when you will be the right “match”, so you need to apply to all positions that are suitable. While you want to keep your goals in mind, it makes no sense to hold out for the “perfect” job, which you may not find – or which may not even exist. Also keep in mind; it is a lot easier to find a job when you are already employed. Take that job that isn’t ideal and continue to pursue something else that meets your needs. Expectation: My resume and cover letter look great! Fact: Quite often people think they have a fantastic resume when in fact it does not emphasize their knowledge, skills and abilities. Take a close look at your resume and cover letter. Do they sell your skills and qualifications? Have you identified accomplishments? Make sure they are targeted. Research the company and the position you are applying for and demonstrate how you are a “match” for them and the job. There are lots of resources out there now to help you obtain this information. Asking a career practitioner is a great start. Expectation: I have excellent skills. Any company would want to hire me! Fact: You may not be as marketable as you think. A common mistake that job seekers make is over-estimating their marketability. Make sure you take an honest look at your skills and qualifications to determine how in demand they are. Keep in mind that your marketability depends on a number of different factors, some of which are not within your control. What is the labour market like in your area? Are there a lot of jobs in your field? Are there a number of unemployed people with the same skill set as you? The hard and soft skills employers are looking for are somewhat within your control. Enrolling in courses or workshops that can enhance your competencies is a good way to keep your skills and knowledge current and up-to-date. Lifelong learning is a great way to show employers you would make a valuable employee. Finding a new job is difficult and it’s easy to succumb to your frustrations. But by having realistic employment expectations, you’ll be much further ahead and able to overcome the many hurdles of job searching. Linda Schumacher is a student of the Career Consultant Certificate Program at Mohawk College, in Hamilton, Ontario. MCACESblogs is a series of job search and work search related entries by students from CAR03: Work Search Tools & Techniques. Like what you see? Tell us what you think! Please share this information to fellow job seekers. For more information about our blogs, please contact Lidia Siino, Professional Development & Communications Specialist at lidia.siino@mohawkcollege.ca.